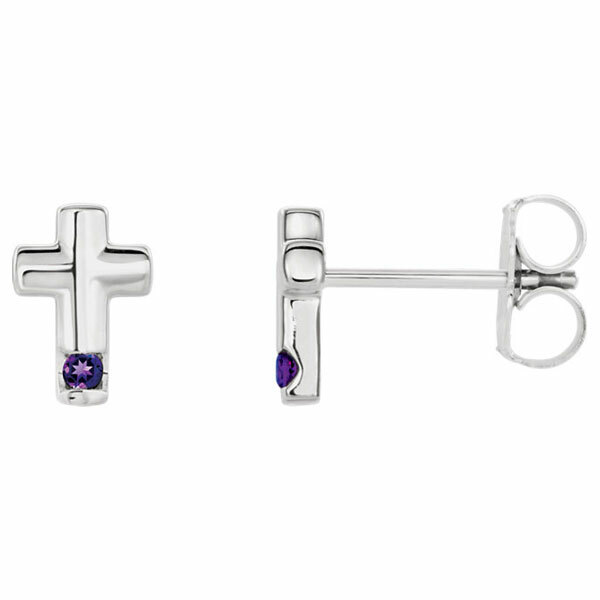 If you are looking for a beautiful cross stud earring, look no further than these amethyst cross stud earrings in 14K white gold from Apples of Gold Jewelry. 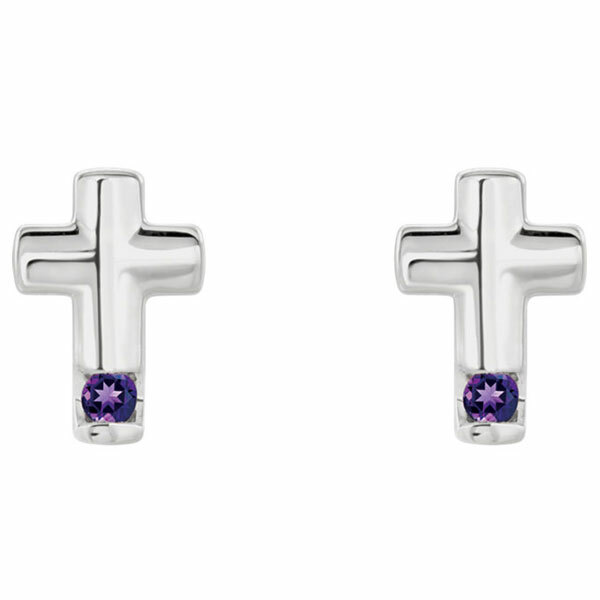 These lovely stud earrings, made from 14K white gold, have a genuine, bright purple amethyst gemstone at the bottom of each cross. The purple amethyst gemstone measures 1.5mm per ear and pops against the white gold of the earrings. The overall size of the stud earrings is 7.29mm by 5mm (5/16" by 3/16") in size, and they feature friction post and back closures. We guarantee our Amethyst Cross Stud Earrings, 14K White Gold to be high quality, authentic jewelry, as described above.